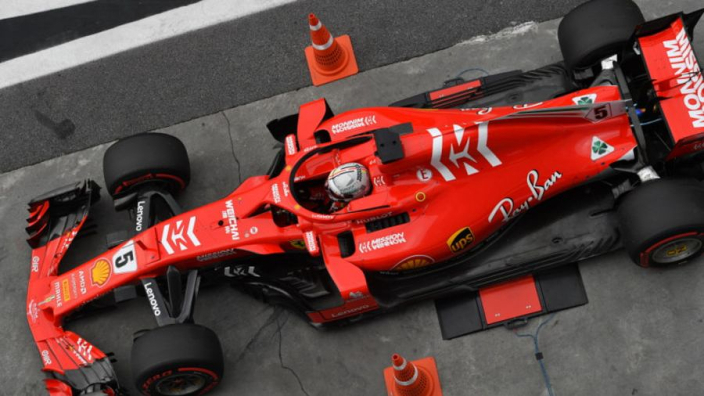 Ferrari's livery may be darker and with a matte appearance in 2019. That is the latest rumour to emerge in the days before the famous Italian team's February 15 launch next Friday, with a suggestion that the Scuderia could follow fellow Italians Ducati in MotoGP. Ferrari also announced that the launch of the 2019 car will be streamed live from Maranello next Friday. Charles Leclerc had his seat fitting on Thursday as preparations for the season ramp up ahead of preseason testing, which gets under way in Barcelona on February 18. Automoto also reported that new Ferrari CEO Louis Camilleri held a lunch with 12 prominent Italian journalists last week. It is claimed the meeting "was an informal and friendly chat about the expectations of the press from Ferrari and a way for Camilleri and [team principal] Mattia Binotto to get acquainted with those who will follow the red team's season."